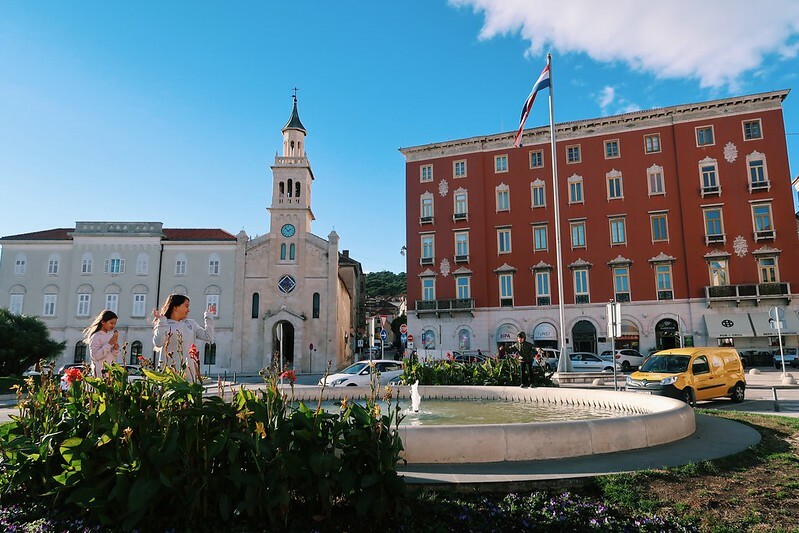 In this post, I will document some of those rhythms and routines during our time here in Split. Our usual nomadic lifestyle is certainly hard to compare to our time here since we have not been living in the van. 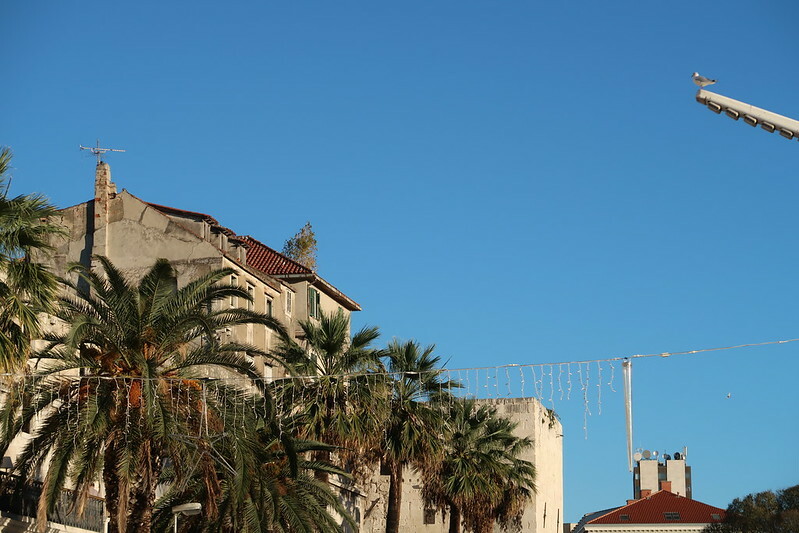 Marlene’s parents own an apartment in Split that has recently been remodeled. 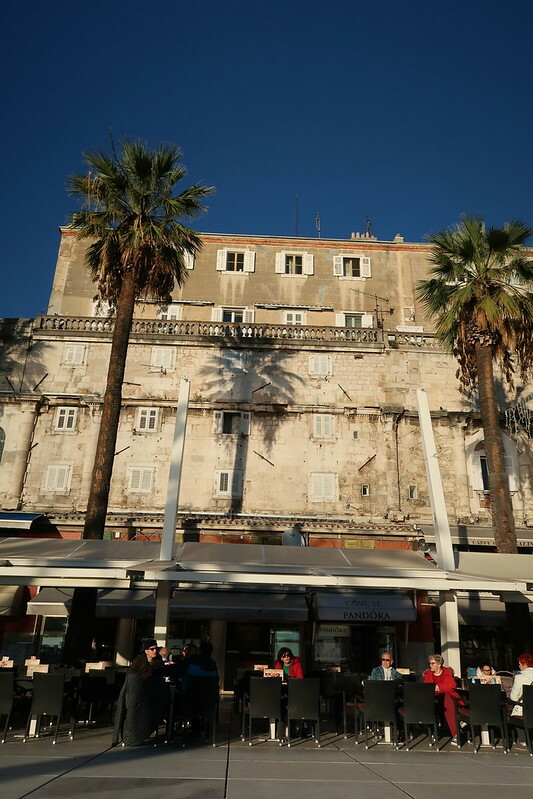 It is near the center of Split and very convenient for us since our big van is not cheap or easy to find parking around town. 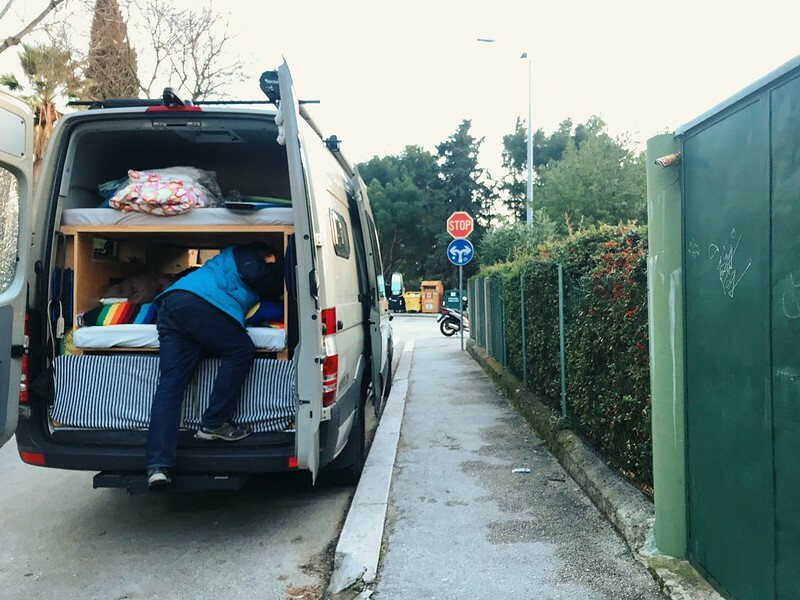 For the first couple of weeks back in October, we shuffled the van from parking lot to parking lot while looking for a big enough free parking space along the curb. When we finally came across one, we parked there for about a week but worried that it would be damaged by other vehicles passing it on the narrow streets. Eventually, when we migrated to the village on Hvar, we took it with us and found a spot on the outskirts and kept her there. Getting to and from the island village is much cheaper if we don’t bring the vehicle with us. 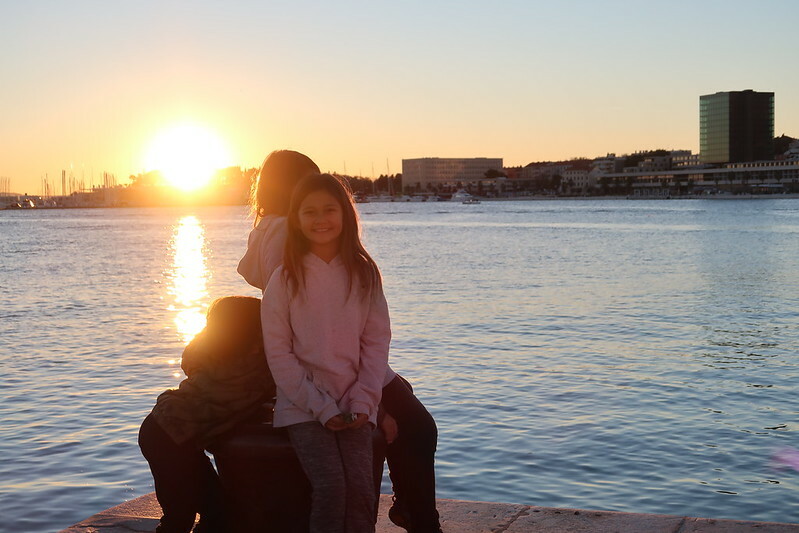 The apartment in Split is within walking distance to the ferry dock so we are able to carry everything we need on our backs and hike them to and fro. Ferry rides for adults from Split to the main terminal on Hvar island is only about $20 for all 5 of us each way. With our van however, it will cost closer to $120. Without a vehicle, we do a lot of walking around town. Most things are easy to walk to. Grocery stores, coffee shops, city center and waterfront is all within a 10 minute walk from us. If we do need to drive some where, Uber is available in Split. All of the Uber drivers are just regular taxi drivers and also drive for Uber. 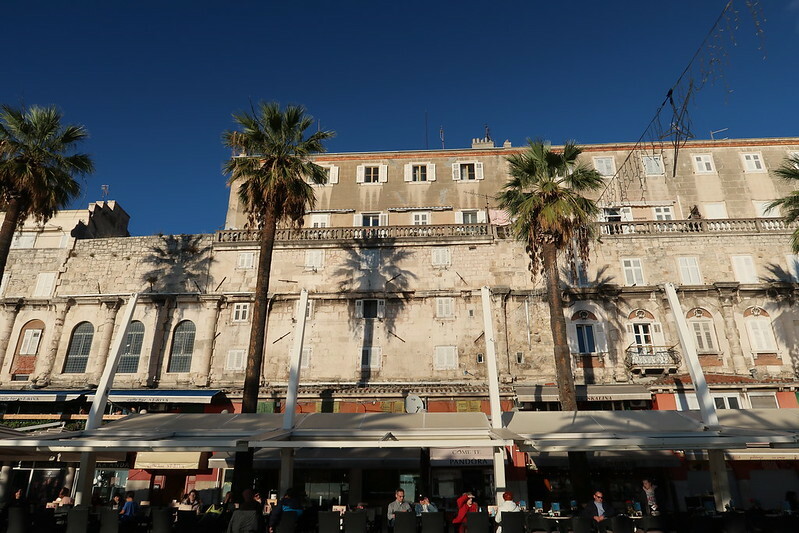 The farthest we need to go from the apartment is the shopping mall on the outer limits of Split. It is about a $7 Uber ride each way. The only downside is since there are 5 of us, cramming 4 in the back seat of a normal size vehicle here isn’t the most comfortable. I have a feeling some drivers aren’t too thrilled to see all of us piling into their cars when they show up. 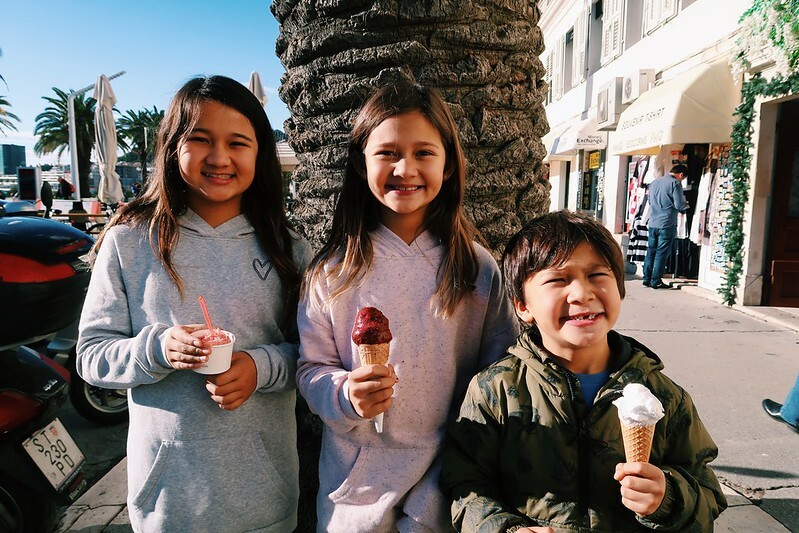 One of the things we miss from the US is all of our favorite foods. Many of our favorite items we could easily buy from stores or restaurants are not easy to come by here. Probably the food we miss the most is good Mexican food. Being from California, we take for granted that the Mexican food is really great. From authentic tortillas to simple ingredients like jalapeno peppers. Many of those items are just not available here in Croatia. The staple items here are very seasonally based. Since the country is small and expats from other countries are few, there is little demand for imported ingredients. That means only the biggest cities will have larger varieties of ethic foods. During the winter, only locally grown produce can usually be purchased. Bell peppers, tomatoes. onions, potatoes, zucchinis are the typical vegetables you can find here year round. Being on the Adriatic coast, seafood is an important part of the diet. But as of the last century or so, much of the seafood is exported to countries like Japan who will pay top dollars for the catch. That has made what use to be a cheap and local supply of seafood much more unaffordable. The United States is one of the major suppliers of high quality beef around the world. Here in eastern Europe, beef is available but most are very lean with little to no marbling in the meat. Even at a restaurant, a piece of grilled steak can be much tougher and most cuts are better stewed or slow cooked. Lamb is a much more popular alternative to beef. Pork and chicken is also of very good quality. Being part of the European Union, GMO labeling is required and most places sell GMO-free produce and meat. 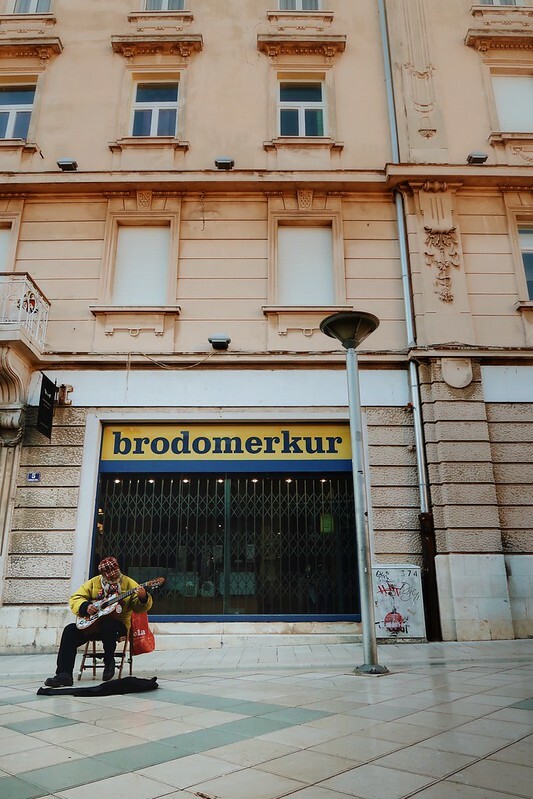 Hardly any American restaurant chains exist in Croatia. 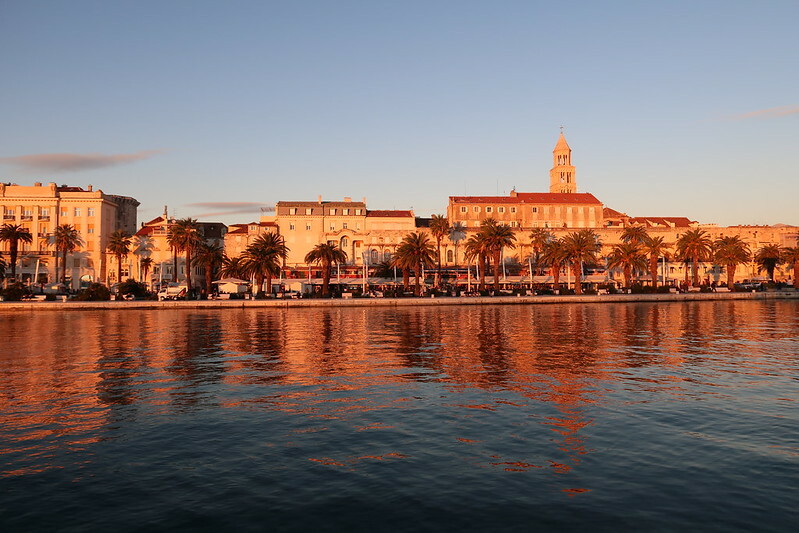 Only fast food chains like McDonalds, Burger King and KFC exist here in Split as far as we can tell. As you might imagine, some of their menu items are catered to the local palette but the classics are all there. Big Macs, Whoppers and the Colonel’s 11 herbs and spices have help curbed some of our homesickness from time to time. In today’s world, living without an Internet connection is pretty much unheard of. At least for us who work remotely, we need to be connected for our income. Unlike the United States, we knew very little of how to get connected to the Internet when we got here. In our previous visits, the most recent one being in 2011, we just sort of lived without for the short times that we were here. Well, we were here for 7 weeks then which is a long time for someone on vacation but this time we are pretty much living here so we needed to find a better way to connect than coffee shops. At all of the corner stores, you can buy prepaid SIM cards for about $15 that will give you 5-10 GBs of Internet depending on the provider. It is designed for tourists who visit and you can top off one time but no more. You have to buy a new card after that. We did some research and decided to go with a post-paid plan from a European telecom company called Tele2. You need to be a local resident to sign up for a post-paid account and luckily we have that as an option through Marlene’s dual citizenship. For about $75 a month, we have 4 lines that all have unlimited data. It is much cheaper than what we were paying for unlimited mobile Internet in the US but we were much more diversified with our connection options there. As far as we can tell, it is truly unlimited data. The only catch is that each line gets 5 GBs each day without interruption. Upon reaching the 5 GB limit, we receive a text asking us if we’d like to continue. We simply reply ‘Nastavi’, which means ‘Continue’, and our data resumes for 2 more GBs at a time for as many times as we wish. This system is designed to prevent bots from abusing their network. I suspect we will need to add more options once we leave Croatia as our unlimited plan is only good for within the country. When we travel to other EU countries, our data will be limited to 10 GBs per line. Outside of the EU, roaming fees will be extremely high and we were recommended to turn our devices off to avoid extraneous fees. We will need to find local pre-paid plans and go back to relying on WiFi Hotspots when they are available. Before we left the United States, we ported our cell phone numbers to Google Voice. These are numbers we’ve had for years and wanted to keep. If you don’t care about holding on to your phone number, you won’t need to do that. Google Voice allowed us to keep our US numbers without paying a monthly fee. By associating it with our Google account, we can still send and receive text messages with that number using their Google Voice app. We are not able to use it to make calls from our phones but by logging on to our Gmail account on the computer, we can make free calls with that number through the browser as long as we have good a internet connection. This has worked well for us so far and I suspect it will be sufficient for the rest of our travels in Europe. Like how we’ve done in the past, we have a pretty large library of downloaded videos for the kids and ourselves on hand. It will help with keeping us occupied when the weather is bad and we are stuck inside. Also our Netflix and Amazon Prime Video accounts will be kept alive as much of their content is available for streaming and download in Europe. Whatever isn’t available, there are ways to bypass the geographical restrictions by using US-based VPN servers but they are often blocked once they are discovered by them. Music services like Spotify and Google Music can also be used here as long as you already have an account based in the US. Spotify is not available here if you are a local wanting to sign up for the service as of December 2018. For those of you seasoned international travelers, you probably have your own tools and preferences on how you access your funds while abroad. When we were in Mexico in 2016, we relied mostly on cash on a daily basis. The main reason is because we did not want to risk having our credit card cloned and needing to be replaced. It is a pain to receive replacement cards when you are not in the US. To avoid getting charged transaction fees each time we accessed an ATM, I opened a checking account with Charle Schwab. You need an investment account to be able to open one but you are not required to deposit any money into it. It is just a way for them to get you into their ecosystem. They allow you to withdraw from any ATM around the world without paying any fees. Whatever fees are charged by the third party bank, they will also reimburse. It has been a great way for us to have access to our cash. The only downside is that if you don’t keep a balance in your account, it can take 4 business days for a transfer to complete. That means you can be as much as 7 days away from being able to withdraw cash. Potentially even longer if there are holidays involved. There are also several credit cards that offer no foreign transaction fees. I am not an expert on what credit card is the best for what but what I have been using has worked well for us. In the US, we are Costco members and use the Costco Anywhere Visa card by Citi Bank. Unfortunately that card does charge foreign transaction fees so it is not practical for international use. For that, I use the popular Chase Sapphire Preferred Visa card. It charges no foreign transaction fees and it offers very good travel benefits. It is free for the first year and a $95 annual fee after. It seems like a lot but is easily offset by the benefits. The most significant one is the initial $625 travel credit you get if you spend $4,000 within the first 90 days. I won’t bore you with all the other details but you can go find out all about it yourself. 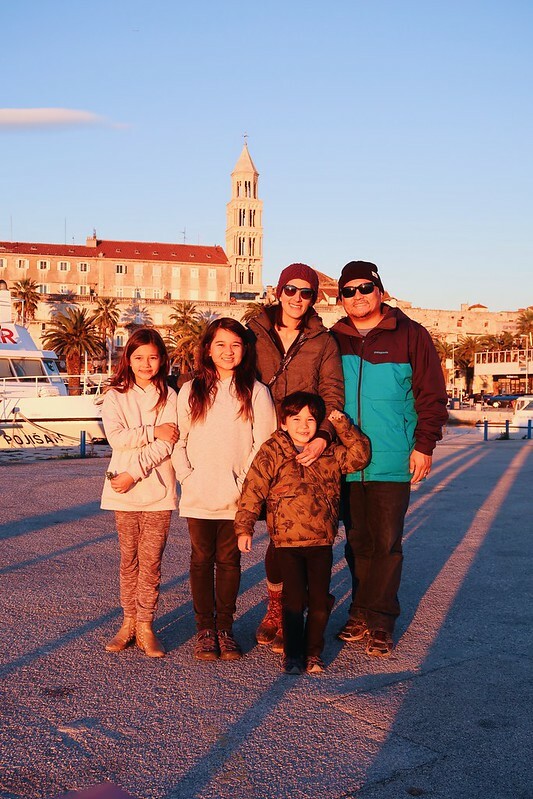 Of course there are others who have relocated to Split. There is even an expat group on Facebook dedicated to people who have come from all over the world. This post is just specific to how we have adapted to our last few months here. As I have said earlier, we have only spent about half of our time here and the rest has been on the island of Hvar. I will make another post about our lives there during these few months. It is a significantly different experience from Split and worthy of its own writeup. 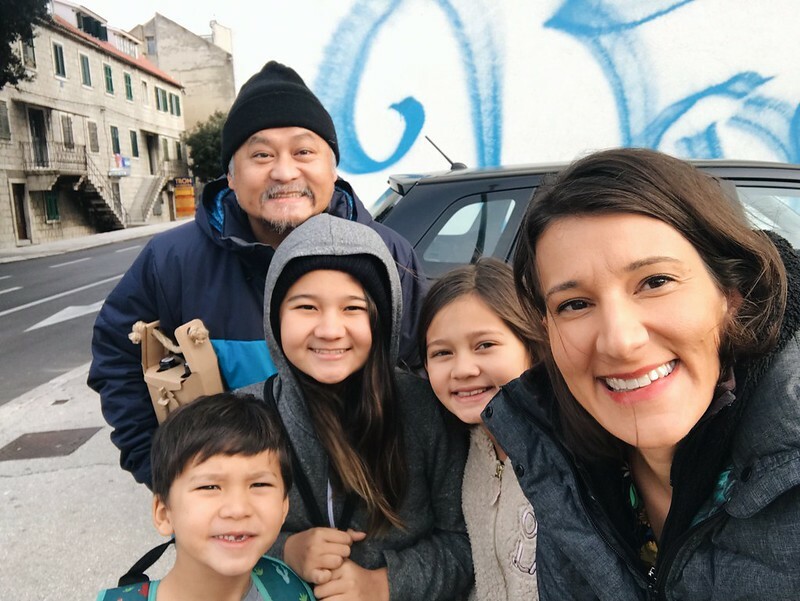 Even though we are ready to leave to explore the rest of Europe, I think we will miss many aspects of Croatia when we are gone. Great post Dan! Very informative for those who may have aspirations to visit Europe for an extended period of time. Have enjoyed the almost daily video updates on Instagram, too!